Kendial Lawrence is averaging 6.5 yards per carry this season…when he can hold onto the ball. Nothing in this article will give you an extra insight into the X’s and O’x for Mizzou’s game at Central Florida this Saturday at 11 a.m. However, I’ve compiled some interesting facts and figures that will make you sound like you know what you’re talking about as you’re watching the game with your friends. You are welcome! Central Florida is coming off a bye-week which followed a 33-20 home win on Sept. 15th over Florida International. In that game, the Knights held a 23-0 halftime lead and cruised from there. The week prior, UCF played at 14th-ranked Ohio State, and were tied with the Buckeyes at 10-10 in the 2nd quarter, before OSU pulled away with 21 straight points on the way to a 31-16 win. The Knights opened their 2012 season with a 56-14 road win at Akron, thanks to a 28-point 2nd quarter and 4 forced turnovers. According to the NCAA, Mizzou has played the toughest early-season schedule. When factoring in FBS opponents only, Mizzou’s three opponents (Georgia, Arizona State, South Carolina) are a perfect 8-0. Vanderbilt’s schedule is ranked second most difficult. As if the schedule wasn’t hard enough, the Central Florida game will mark the first of three straight opponents Mizzou will face who will play the Tigers after coming off of a bye week. UCF was off last week prior to this Saturday’s game. 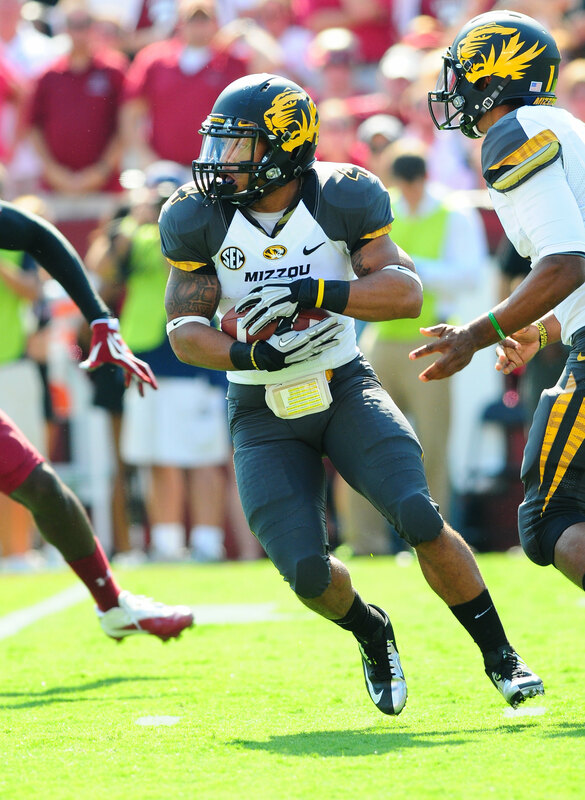 Mizzou will return home for an Oct. 6th game against Vanderbilt. The Commodores played this past Saturday at Georgia (a 48-3 loss), but are off this Saturday. Then Mizzou will host to #1-ranked Alabama the following week (Oct. 13th), and as if Bama needed any other advantages, the Tide will roll into Columbia with a full week of rest. Alabama plays at home against Ole Miss this Saturday and is off on Oct. 6th. –Where did Blaine’s baby brother land? Tracking the career path of Tyler Gabbert after he left Mizzou was like trying to figure out where in the world was Carmen San Diego. The younger Gabbert is a backup for Central Florida after apparently having his heart set on Louisville. In his first collegiate game on 8/30 against Akron, Gabbert completed his first pass for a 12 yard touchdown. Central Florida has never posted three, non-conference wins since it joined a conference in 2002. This is the Knights first home game against an SEC team. In 2000, they beat Alabama 40-38 and in the 2010 Liberty Bowl, they tripped up Georgia 10-6. They are 2-13 against SEC teams. Gary Pinkel is 0-2 against UCF, when he coached at Toledo. –By George, I think he’s got it!!! UCF is coached by George O’Leary. He took over at UCF in 2001 after spending a year with the Minnesota Vikings. Prior to that, you may remember O’Leary resigned after accepting the head coaching job at Notre Dame for “resume padding.” O’Leary had a successful run at Georgia Tech prior to trying to bluff his way on with the Golden Domers. In his time at UCF, O’Leary is 52-52.